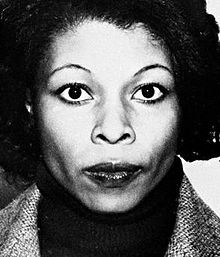 Assata Shakur (born JoAnne Deborah Byron, July 16, 1947) is an activist who was found guilty in the 1973 murder of New Jersey State Trooper Werner Foerster. Shakur was incarcerated in several prisons in the 70s. She escaped from U.S. prison in 1979 and has been living in Cuba in political asylum since 1984. Shakur is the step-aunt/godmother of the late Tupac Shakur. My name is Assata ("she who struggles") Olugbala ( "for the people" ) Shakur ("the thankful one"), and I am a 20th century escaped slave. How much we had all gone through. Our fight had started on a slave ship years before we were born. Venceremos, my favorite word in Spanish, crossed my mind. Ten million people had stood up to the monster. Ten million people only ninety miles away. We were here together in their land, my small little family, holding each other after so long. There was no doubts about it, our people would one day be free. The cowboys and bandits didn't own the world. There was not a single liberation movement in Africa that was not fighting for socialism. In fact, there was not a single liberation movement in the whole world that was fighting for capitalism. The whole thing boiled down to a simple equation: anything that has any kind of value is made, mined, grown, produced, and processed by working people. So why shouldn’t working people collectively own that wealth? Why shouldn’t working people own and control their own resources? Capitalism meant that rich businessmen owned the wealth, while socialism meant that the people who made the wealth owned it. Prisons are a profitable business. The are a way of legally perpetuating slavery. In every state more and more prisons are being built and even more are on the drawing board. Who are they for? they certainly aren't planning to put white people in them. Prisons are part of this government's genocidal war against Black and Third World people. Rodriguez, Dylan (2006). Forced passages imprisoned radical intellectuals and the U.S. prison regime. Minneapolis, MN: University of Minnesota Press. ISBN 0816645604. My name is Assata ("she who struggles") Olugbala ( "for the people" ) Shakur ("the thankful one"), and I am a 20th century escaped slave. Because of government persecution, I was left with no other choice than to flee from the political repression, racism and violence that dominate the US government's policy towards people of color. I am an ex political prisoner, and I have been living in exile in Cuba since 1984. I have been a political activist most of my life, and although the U.S. government has done everything in its power to criminalize me, I am not a criminal, nor have I ever been one. In the 1960s, I participated in various struggles: the black liberation movement, the student rights movement, and the movement to end the war in Vietnam. I joined the Black Panther Party. By 1969 the Black Panther Party had become the number one organization targeted by the FBI's COINTELPRO program. because the Black Panther Party demanded the total liberation of black people, J. Edgar Hoover called it "greatest threat to the internal security of the country" and vowed to destroy it and its leaders and activists. Any Black person in amerika, if they are honest with themselves, have got to come to the conclusion that they don't know that it feels like to be Free. Once you're in prison, there are plenty of jobs, and, if you don't want to work, they beat you up and throw you in the hole. If every state had to pay workers to do the jobs prisoners are forced to do , the salaries would amount to billions. License plates alone would amount to millions. When Jimmy Carter was governor of Georgia, he brought a Black woman from prison to clean the state house and babysit Amy. Prisons are a profitable business. The are a way of legally perpetuating slavery. In every state more and more prisons are being built and even more are on the drawing board. Who are they for? they certainly aren't planning to put white people in them. Prisons are part of this government's genocidal war against Black and Third World people. White people's fear of Black people with guns will never cease to amaze me. Probably it's because the think about what they would do were they in our place. Especially the police, who have done so much dirt to Black people- their guilty conscience tells them to be afraid. When Black people seriously organize and take up arms to fight for our liberation, there will be a lot of white people who will drop dead from no other reason than their own guilt and fear. 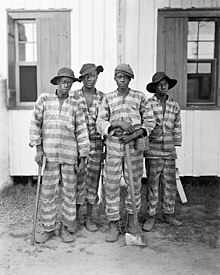 The more i watched how boys and girls behaved, the more i read and the more i thought about it, the more convinced i became that this behavior could be traced directly back to the plantation, when slaves were encouraged to take the misery of their lives out on each other instead of on the master. The slavemasters taught us we were ugly, less than human, unintelligent, and many of us believed it. Black people became breeding animals: studs and mares. A Black woman was fair game for anyone at any time: the master or a visiting guest or any redneck who desired her. The slavemaster would order her to have six with this stud, seven with that stud, for the purpose of increasing his stock. She was considered less than a woman. She was a cross between a whore and a workhorse. Black men internalized the white man’s opinion of Black women. And, if you ask me, a lot of us still act like we’re back on the plantation with massa pulling the strings. I was getting tired of the streets. I was tired of being grown and i wanted to be a kid again. I was surprised to learn that there were all different types of capitalist countries and different types of communist countries. I had heard “communist bloc” and “behind the iron curtain” so much in the media, that i had naturally formed the impression that these countries were all the same. Although they are all socialist, East Germany, Bulgaria, Cuba, and North Korea are as different as night and day. All of them have different histories, different cultures, and different ways of applying the socialist theory, although they have the same economic and similar political systems. It has never ceased to amaze me how so many people can be tricked into hating people who have never done them any harm. You simply mention the word “communist” and a lot of these red, white, and blue fools are ready to kill. Only the news concerning Black people made any impact at all on me. And it seemed that each year the news got worse. The first of the really bad news that i remember was Montgomery, Alabama. That was when i first heard of Martin Luther King. Rosa Parks had been arrested for refusing to give her seat to a white woman. The Black people boycotted the buses. It was a nasty struggle. Black people were harassed and attacked and, if i remember correctly, Martin Luther King’s house was bombed. Then came Little Rock. I can still remember those ugly, terrifying white mobs attacking those little children who were close to my own age. When the news about Little Rock came on, you could hear a pin drop at my house. We would all sit there horrified. Sometimes, afterward, somebody would say something, but usually we would just sit there lost in our own thoughts. I guess there was nothing to say. And each year i would sit in front of that box, watching my people being attacked by white mobs, being bitten by dogs, beaten and water-hosed by police, arrested and murdered. Then the news seemed too real. I remember how i felt in those days. I wanted to be an amerikan just like any other amerikan. I wanted a piece of amerika's apple pie. Believed we could get our freedom just by appealing to the conscinces of white people. I believed that the North was really interested in integration and civil rights and equal rights. I used to go around saying, "our country," "our president," "our government." When the national anthem was played or the pledge of allegiance spoken, i stood at attention and felt proud. I don't know what in the hell i was feeling proud about, but i felt the juice of patriotism running through my blood. Nobody in the world, nobody in history, has ever gotten their freedom by appealing to the moral sense of teh people who were oppressing them. We're taught at such an early age to be against the communists, yet most of us don't have the faintest idea what communism is. Only a fool let's somebody tell them who the enemy is. Nobody in the world, nobody in history, has ever gotten their freedom by appealing to the moral sense of the people who were oppressing them. Every day out in the streets now, i remind myself that black people in amerika are oppressed. It's necessary that I do that. People get used to anything. The less you think about your oppression, the more your tolerance for it grows. After a while, people just think oppression is the normal state of things. But to become free, you have to be accurately aware of being a slave. Too many people in the u.s. support death and destruction without being aware of it. They indirectly support the killing of people without ever having to look at the corpses. 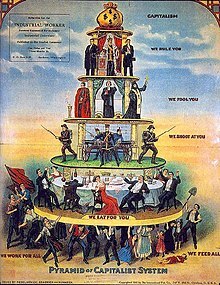 Anytime you're talking about a ladder, you're talking about a top and a bottom , an upper class and a lower class, a rich class and a poor class. As long as you've got a system with a top and a bottom, Black people are always going to wind up at the bottom, because we're theeasiest to discriminate against. When we were sittting in this courtroom , during the jury selection proves, i listened to Judge Thompson tell you about the amerikan system of justice. He talked about the presumption of innocence; he talked about equality and justice. His words were like a beautiful dream in a beautiful world. But i have been awaiting trial for two and one half years. And justice, in my eyesight has not been the amerikan dream. It has been the amerikan nightmare. There was a time when I wanted to believe that there was justice in this country. But reality crashed through and shattered all my day dreams. While awaiting trial i have earned a Ph.D. in justice, or rather, the lack of it. Judge Bachman's having a fit," Ray said. " I hear the FBI is going to conduct an investigation to determine how you got pregnant." "Well, they better not troy to come 'round me asking no questions," i tol them. "Ill tell them that this baby waas sent by the Black creator to liberate Black people. Ill tell 'em that this is the new black messiah, conceived in a holy way, come to lead our people to freedom and justice and to create a new black nation." Shakur, Assata (1999). Assata An Autobiography. Chicago: Lawrence Hill Books. p. 75. ISBN 9781613745618. They call us thieves and bandits. They say we steal. But it was not we who stole millions of Black people from the continent of Africa. We were robbed of our language, of our Gods, of our culture, of our human dignity, of our labor, and of our lives. They call us thieves, yet it is not. There is, and always will be, until every Black man, woman, and child is free, a Black Liberation Army. The main function of the Black.